Content Manipulation shows how to use JQuery with Qt WebEngine Widgets to create a web browser with special effects and content manipulation. We also declare a QString that contains the jQuery, a QWebEngineView that displays the web content, and a QLineEdit that acts as the address bar. 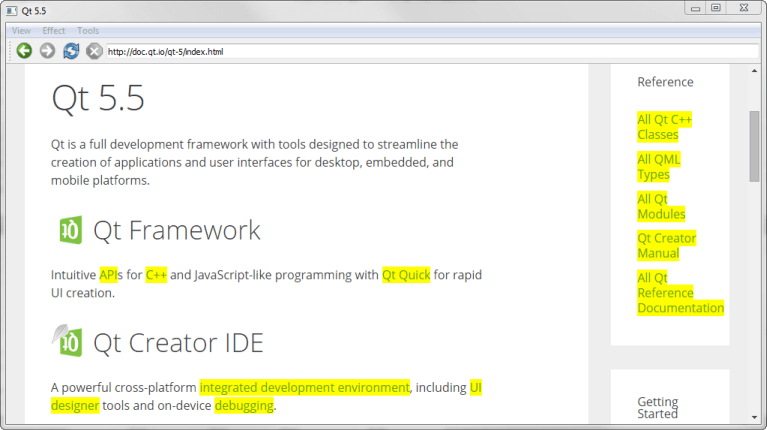 This slot is triggered by the titleChanged() signal in QWebEngineView. The rotateImages() function is then called explicitly to make sure that the images of the newly loaded page respect the state of the toggle action. We append undefined after the jQuery call to prevent a possible recursion loop and crash caused by the way the elements returned by the each iterator elements reference each other, which causes problems upon converting them to QVariant.